While SoCal has ocean access with hundreds of miles of shoreline; the fresh, clean, clear big water only flows from the mountains. Better yet from the Sierra Nevada or Northern California. Southern California has a few rivers & most seasonal streams dry up before mid-summer. You're lucky to see a trickle, yet a waterfall, inland. HEAD NORTH: The biggest river driving distance to Los Angeles is the infamous Kern River. The western side of the Sierras has many main tributaries flowing west from granite alpine of the high country. Kings River, the longest river in the Sierra Nevada, flows from where else - Kings Canyon National Park, San Joaquin River tucked way back near Mono Hot Springs in Sierra National Forest & the Merced, which flows through Yosemite National Park. The real river recreation, kayaking & rafting starts well above Sacramento, where there is a body of water in every county. Much of which feeds the world, with agricultural irrigation of the Central Valley. The Yuba River flows past the Sierra Buttes & through Northern Gold Country. The Pit River & Feather River surrounding Lassen Peak are perfect for fishing & camping. The Russian River leads from Sonoma Wine Country to the coast of Mendocino. 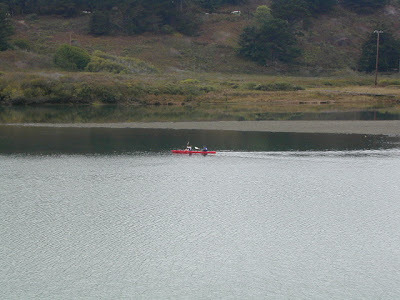 The Klamath, in the far north portion of California, is the river for rafting. Happy Camp California is located deep in the Klamath National Forest, along the river & highway 96. But beware, once you are there, you wont wanna leave. 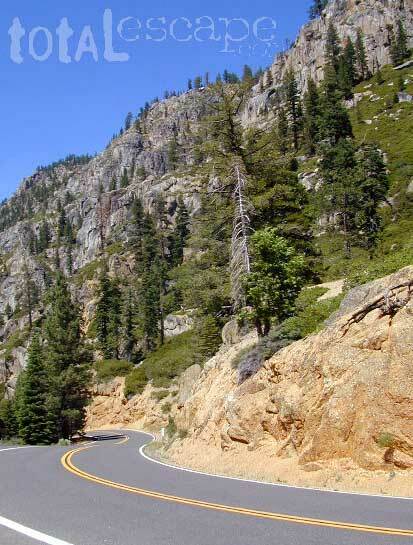 One of the easiest alpine lakes to drive to in the western Sierra's is located on Highway 108, the Sonora Pass. Stanislaus National Forest region is home to Dodge Ridge ski area & excellent forest camping. Fishing, hiking, kayaking, mountain biking w/ mountain peaks, big rivers and creeks. Campground camping, backpacking, primitive camping, 4x4 camping. RV camping is very popular on this High Sierra route, but lake side camp sites do book up months in advance for prime summer months. There are numerous Campgrounds in the Sierra Sonora region are plentiful, so you can check more lists for camping nearby. More rugged characters can grab a map to explore trails, trailheads and camp for free on the back roads! 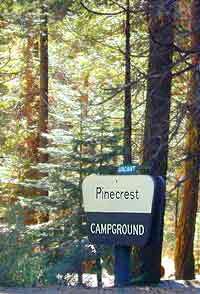 Pinecrest California has number of accommodations, such as chalets & cabins available for rent. The main lake is within walking distance of the village, which has a general store, ranger station & post office. Bike rentals are also a nice attraction for recreation lovers. All this alpine splendor is open year round but you should always expect snow in winter. The one great thing about Redding California is it proximity to awesome the NorCal Wilderness. Shasta Lake is die north & beyond that lies Mount Shasta. To the east is Lassen National Park & all it's volcanic glory. 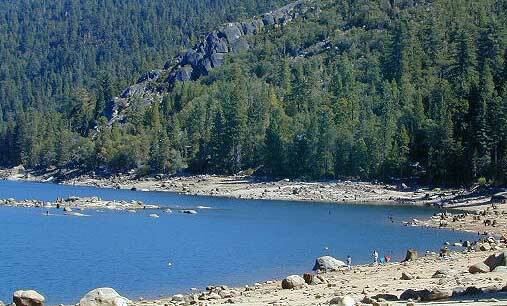 To the west of Redding is the Trinity Alps, the Trinity River & Trinity Lake. 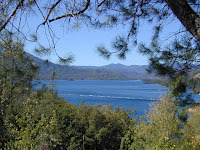 The first place you see along Hwy 299 after the historic Shasta town is Whiskeytown Lake. 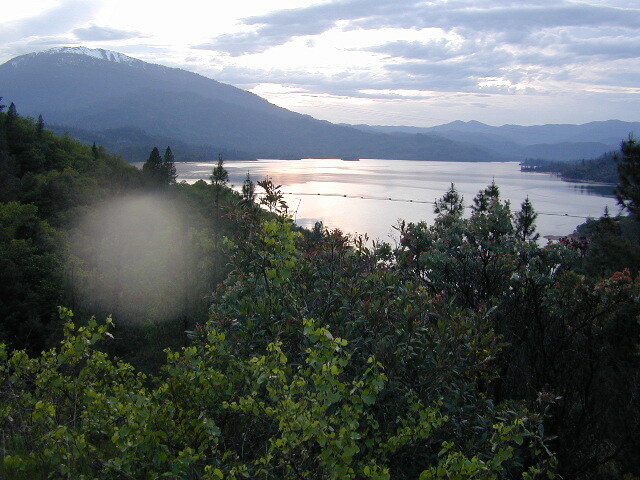 The whole Whiskeytown National Recreation Area is surrounded by forests, rivers, creeks, fishing, and the majestic Shasta Trinity National Forest. Take the first left into the first parking lot & check out the view of all the pines, the massive size of this reservoir & the afternoon suns glare off the water. This is a popular lake for boating, fishing & camping. Oak Bottom Campground is along the highway & has plenty sites. If you take the back road across the dam & follow the Clear Creek up to the waterfalls, you can find a secluded camp - way back where the locals like to hang. RV's & trailers are not recommended for this last stretch. San Diego California has a hundred miles of great beaches & coastal access, although there are only a handful of campgrounds along the coast. You can camp in the downtown area, like RV only Silver Strand State Beach, or perhaps with the masses at Mission Bay. 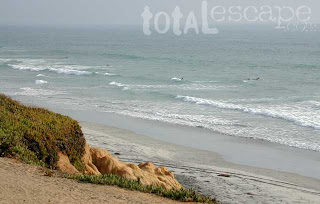 SD's North County coastline has a much more rural feel, less development & plenty great surfing, shoreline & seaweed. San Diego's 2 large beach campgrounds with ocean view & cliff side access are: San Elijo Beach Campground near Cardiff & South Carlsbad State Beach. We suggest making reservations, as these do tend to be popular alternatives to the San Diego city camping options.